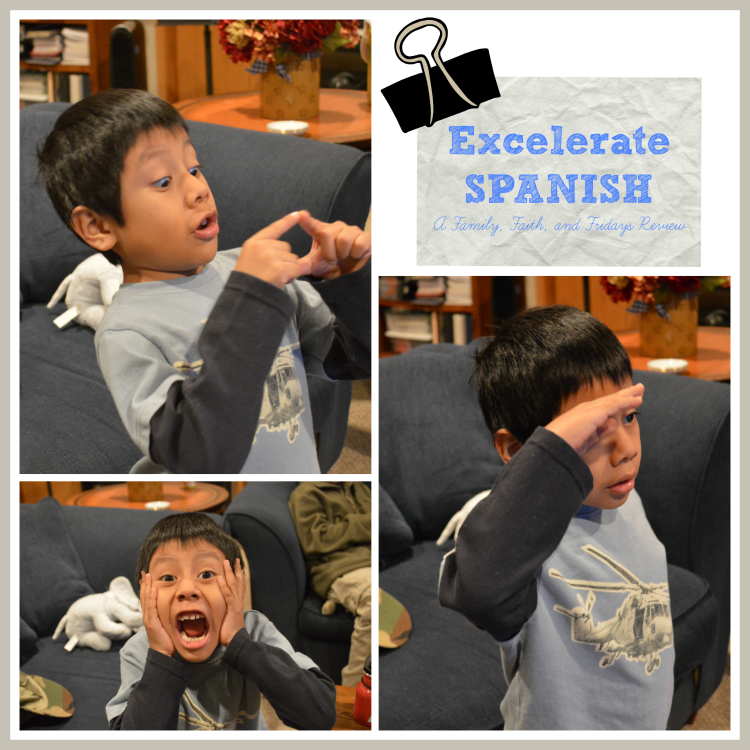 “What’s different about Excelerate SPANISH?” This is the question I hear most often at homeschool conferences. I love answering it, and I think you’ll love the answer, too! It’s really no exaggeration to say, “What’s different is everything.” Excelerate SPANISH is truly unique from the other choices available to homeschoolers today! Read the reviews and do a quick google search, and you’ll find that homeschool bloggers also find the program to be unique and amazing and fun. To be specific, though, what’s different is the humor. And the multiple intelligence approaches. And the comprehensible input. And the focus on fluency. And the connected discourse (an essential characteristic of proficient speakers according to ACTFL). Excelerate SPANISH lessons cater to multiple intelligences to teach your student holistically. The neuroscience behind the theory explains how physical actions, such as those used in Total Physical Response or TPR, help us to learn language.1 TPR increases motivation and personal meaningfulness, therefore your student’s retention also improves. The entertaining skits and action sequences are quite novel, often silly, and always attention-grabbing. Of course, there are other programs available that offer cute contexts. Unfortunately, many of these are “fluffy” (they constitute of “twaddle,” as Charlotte Mason might say). Excelerate Spanish is content-rich, utilizing high frequency vocabulary and loads of helpful everyday structures (grammar). As the student internalizes the patterns and flow of the language, output (speech) comes naturally. When connected discourse is sufficiently modeled, then connected discourse is also produced… And that, my friends, is fluency! Experience the Excelerate SPANISH difference for yourself, and give your student the incredible gift of second language proficiency that lasts. Order today! Hannaford, C. (1995). Smart moves: Why learning is not all in your head. Arlington, VA: Great Ocean Publishers. 3-Schumann, J. (1994). Where is cognition? Studies in Second Language Acquisition 16, 231-42.